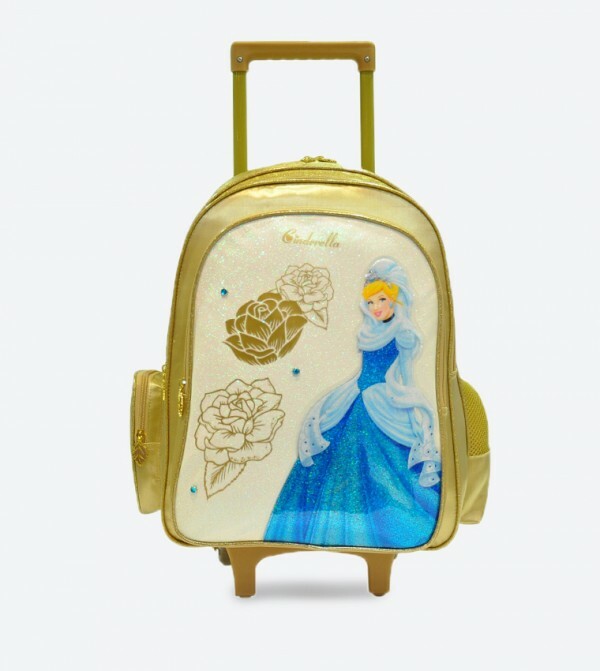 A cute accessory for your little girl is this "Princess Cinderella" school trolley bag from Simba. Made from polyester, this school trolley bag is lightweight. Resistant to water, this school trolley bag will protect her books and other essentials from rain. Featuring a zip pocket detailed with a beautiful Cinderella print on the front that makes it look undeniably attractive, this school bag will be her instant favorites.